I'm a big fan of Michel Roux Jr and may have had a slight fangirl moment when he favourited a tweet of mine during the last series of Masterchef. He's definitely one of my food heroes and as such I'm delighted to be sharing one of a series of six short films which see the two-Michelin starred chef travel the length and breadth of the British Isles to discover the true meaning of exceptional craftsmanship. The series has been created in partnership with The Balvenie Single Malt Whisky to uncover the stories behind some of the UK's finest culinary craftspeople. During his travels Michel meets and profiles six ‘masters of craft’ within their respective fields. A music loving salmon smoker, a potter, one of the last remaining knife makers in the UK, a sparkling wine producer, an organic food producer and The Balvenie’s very own cooper. The series culminates in a mouth-watering three-course ‘Craftsmen’s Dinner’, in which Michel uses produce from each of the craftsmen he has met on his journey. The meal celebrates the incredible craftsmanship and passion of those who dedicate the years required to mastering and perfecting their art whether that be singing to salmon to enhance their taste or learning the art of pottery in Japan. 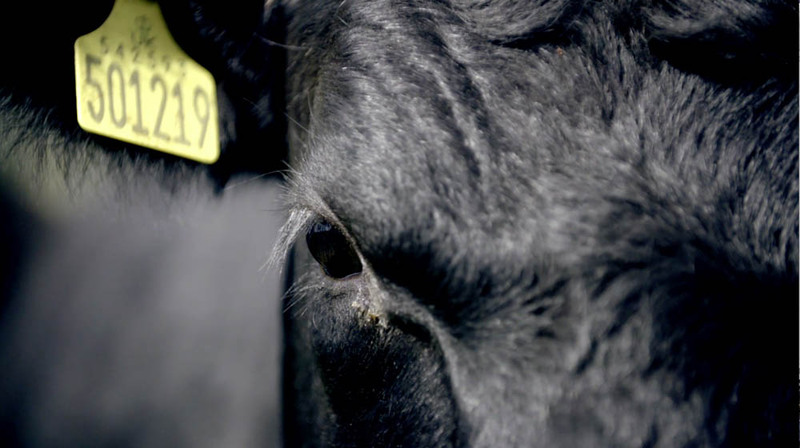 The meat for The Craftsmens Dinner is sourced from Grierson Organic in Perthshire, Scotland. Not all that far away from me here in Aberdeenshire. 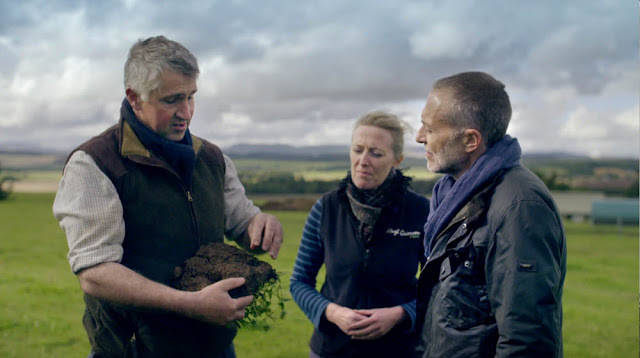 Scotland is of course renowned for its quality of beef and Michel meets husband and wife team Sascha and Hugh Grierson who rear and butcher their own livestock, ultimately producing famously tender, mouth-watering meat. There's a particularly lovely moment where Michel says that happy pigs make great bacon and Sascha names the ginger piglet Michel. You can watch the full Grierson Organic video below and the rest of the series will be released over the next few months on The Craftsmens Dinner You Tube Channel so be sure to subscribe. I'm particularly looking forward to seeing Michel's 'Ghost' moment when he throws a pot. Since I started blogging in 2012 I've had the opportunity to meet and work with a number of wonderful Scottish artisan food producers. Quality and provenance of food is just as vital to me as a home cook as it is to Michel as a two star Michelin Chef. 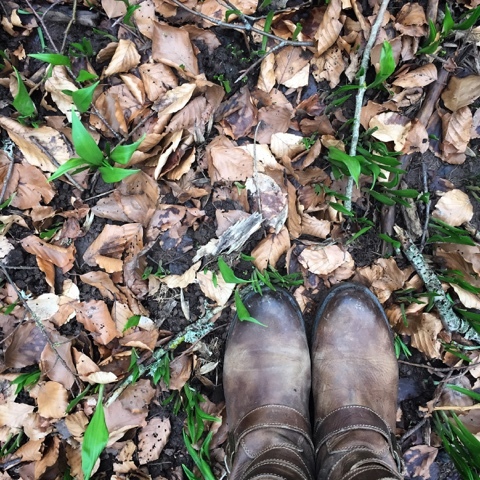 As a farmer's daughter it's always been important and natural for me to think about where my food comes from and in the case of meat and poultry what kind of life the animal led before slaughter. I've met the happy rare breed livestock on a visit to Sunnyside farm in Maryculter and tasted the high welfare pork and eggs produced there by husband and wife team Sharon and Kevin. On a visit to Fife I learned some of the secrets of artisan chocolate making from Chocolatier Sophie Latinis owner of Pittenweem Chocolate Company whilst James Robb showed me where the the smoking magic happens at East Pier Smokehouse. Like Michel I even tried my hand at butchery skills when I was kitted up in chainmail to cut my own steak under the expert guidance of Iain Matthew at Donald Russell Butchers. Sausage making is most definitely a craft in itself which I discovered when I made my own batch of sausages with Master Butcher Grant at The Store. My initial attempts were somewhat hilarious but I redeemed myself somewhat on another attempt during a visit to Royal Warrant holders and suppliers of butchery to Balmoral, HM Sheridan of Ballater. My eyes were opened to the meaning of craft bakery on a visit to The Breadmaker in Aberdeen, an inspiring venture which combines artisan bread making and social enterprise. I've even tried my hand at making the iconic regional specialty food from here in the North East corner of Scotland. The Buttery, Rowie or Aberdeen Roll. Every dimple on the top of every one of the 150,000 Butteries produced by JG Ross Bakers each week is created by fingers and knuckles on a human hand. A wee bit further afield I fulfilled a longtime ambition to visit River Cottage HQ where as part of the day Head Gardener Will Livingstone took us on a farm and garden tour of the 90 acre certified Organic mixed farm. 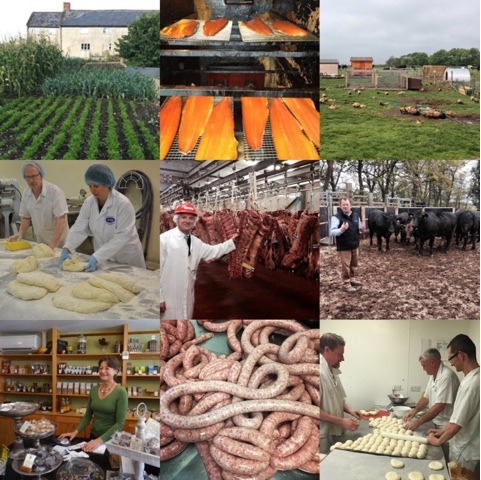 The common thread running through all of the above producers is the great skill, passion and pride that they take in their work. Exactly as is the case with The Balvenie whose Whisky distillation encompasses a whole range of rare crafts. Starting with home grown barley spread across a traditional malting floor (the last of its kind in the Scottish Highlands) to stills kept in peak condition made by coppersmiths and casks prepared and maintained by coopers, with the whole process being overseen by the Malt Master. The Balvenie and Foodies100 are giving away an amazing prize in “The Balvenie Craftsmen’s Dinner Competition” which offers the winner a meal for two at Le Gavroche, Michel Roux Jr’s two Michelin starred restaurant in Mayfair. You can enter the competition via the gleam widget below. How many dishes are plated up in the kitchen during The Balvenie Craftsmen’s Dinner trailer? Watch the series trailer and leave a comment on this post with your answer. All entrants must be aged 18 and over entries close on 13th May, 2016 at 5:00pm. Win a luxury dinner at Michel Roux Jr’s restaurant, Le Gavroche. Disclosure : This is a commissioned post for Balvenie Whisky and Foodies 100. All views expressed are my own. I'm a huge fan of affordable, hearty, one-pot meals and was delighted when Red Tractor Beef & Lamb got in touch to ask me to participate in their #LivePeasant initiative. The aim of the campaign is to encourage home cooks to embrace a more simple, rustic approach to cooking inspired by the current ‘Peasant Food’ trend which is captivating chefs and restaurants around the world. 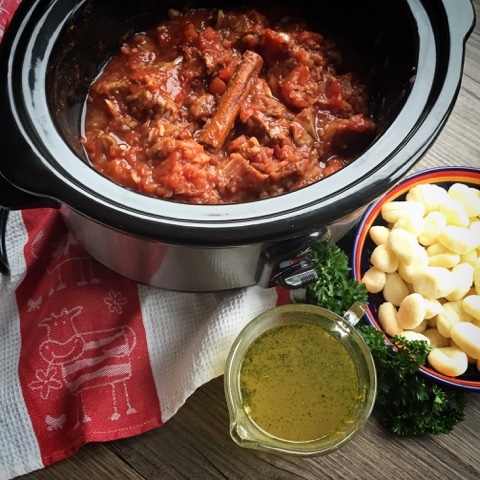 One of my daughter's absolute favourite foods is Gnocchi so when I spotted Slow Cooked Beef with Gnocchi on the list of their recipes it was a no brainer to give it a try. 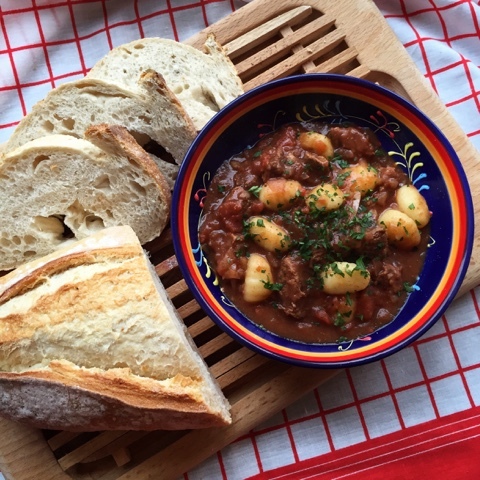 I've never thought of incorporating gnocchi within a stew but it worked fantastically well and I'll definitely be experimenting further using it in this way to add potatoes without the peeling! Stews and casseroles are one of the simplest, most traditional forms of cooking. By utilising cheaper cuts of beef and lamb and cooking them 'low and slow' the resulting dishes will be truly melt in the mouth tender. Taking a little time to prepare in advance and leaving your dish to slow cook through the day means that a delicious meal will be ready and waiting whenever you are. There's nothing better than coming home to the smell of something bubbling away in the slow cooker. Definitely a case of less haste more taste! When buying your meat, whether its beef or lamb, do keep an eye out for a quality mark like the Red Tractor logo which guarantees the meat you are buying is farm assured. Producers can only display this badge when they meet strict food safety and animal welfare standards so you can buy with confidence and a clear conscience. These days we all have such busy lifestyles and the weekly family schedule is tricky at the best times with an assortment of clubs, classes and different meal times to accommodate. The latest statistics tell us that parents today have just 34 minutes free for preparing the evening meal. Slow cooking is such a good option for busy people and one pot meals mean less washing up. It's a win win situation! 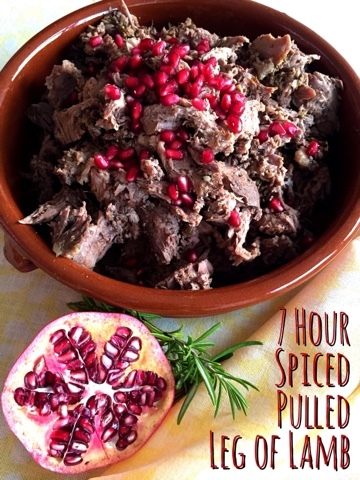 I adapted the recipe below to make it in my slow cooker rather than the oven. It really was easy to prep. For ultimate effortlessness I bought ready diced Red Tractor British Beef and didn't bother to brown or fry the meat or veggies. 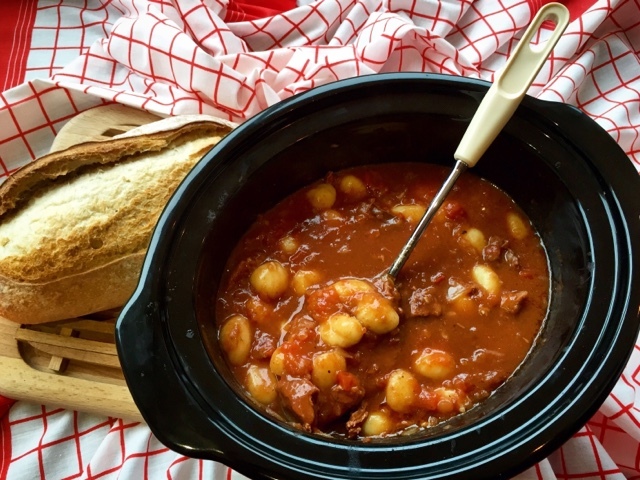 Everything went straight into the slow cooker, I gave it a quick stir and left it to bubble away on low all day adding the gnocchi in about 45 minutes before serving. The resulting dish was absolutely amazing and was quickly devoured by the whole family with crusty bread on the side to mop up the spiced tomatoey juices. 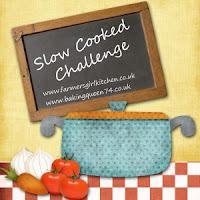 The only change I'd make next time - and believe me there will most definitely be a next time - would be to use slightly less stock as when using a slow cooker the juices don't get a chance to reduce. 1. Place the beef in a large plastic food bag. Add the seasoning, cayenne and paprika; seal, shake well to coat the beef in the spices. 2. Heat the oil in a large non-stick frying pan. 3. Cook the beef for 4-5 minutes in batches until brown on all sides. Transfer to a 1.7L/3pint heatproof casserole pot. 4. In the same frying pan, cook the onion and garlic for 2-3 minutes. Spoon into the casserole pot. 5. Add the tomatoes and stock, cinnamon, sugar and tomato purée. Bring this to the boil, reduce the heat, cover and simmer for 2-2½ hours. 6. 10 minutes before the end of the cooking time add the gnocchi. 7. Garnish with the parsley and serve with crusty bread. Tip: If preferred substitute the gnocchi for freshly cooked pasta shapes. 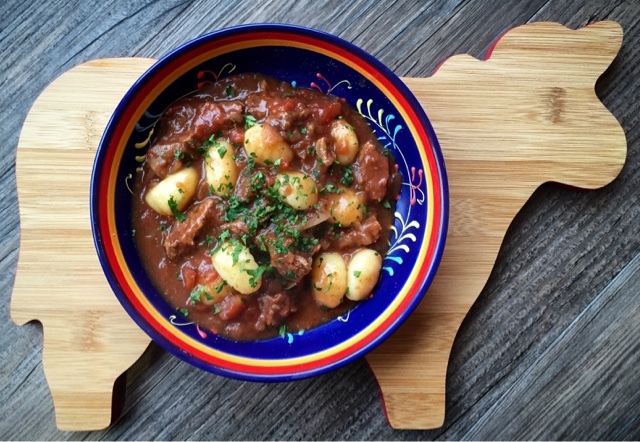 For more #LivePeasant recipe inspiration take a look at the following one pot slow cooked beef and lamb recipes. The Pepperpot Stew is next on my 'must try' list. Disclosure : This is a commissioned post for Red Tractor Beef & Lamb. All views expressed are my own. 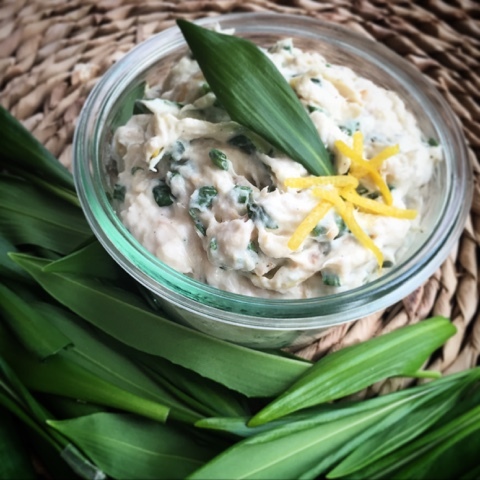 Make the most of one of nature's most bountiful seasonal free foods - Wild Garlic. 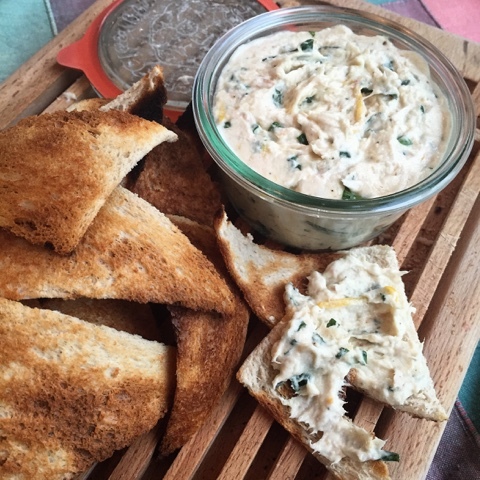 Combined with traditional Scottish Arbroath Smokies to make a fantasticaly tasty fishy pate or dip. Well worth heading out to the woods and doing some foraging. Spring must surely be in the air as Wild Garlic is starting to appear. For me it is one of the most easily identifiable and unmistakable foragable foods. Take a look at the Galloway Wild Food Website for further identification and distribution information. It's smell is so distinctive and the taste, particularly early in the season, very pungent. You may very well smell it in the woods before you spot its long lush leaves. Look for it in semi shaded moist woodland areas, river banks are a good place to start. Later in the season it bursts into bloom with white flowers which are also edible. 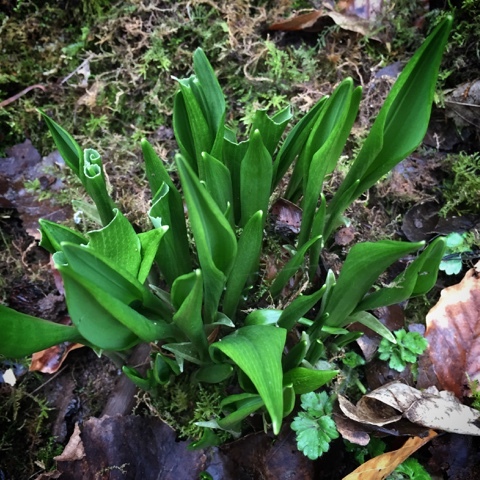 Once you've found your 'wild garlic spot' you can return year on year and confidently identify it from the very first shoots of spring growth. I've known of the existence of wild garlic for a long time. I even knew where it grew locally as I had smelt it when out running but its only in the past few years that I've embraced it fully in my cooking. 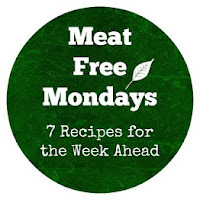 Nothing tastes better than free food and you can substitute it in a variety of recipes that call for either garlic, onions, chives or spring onions. 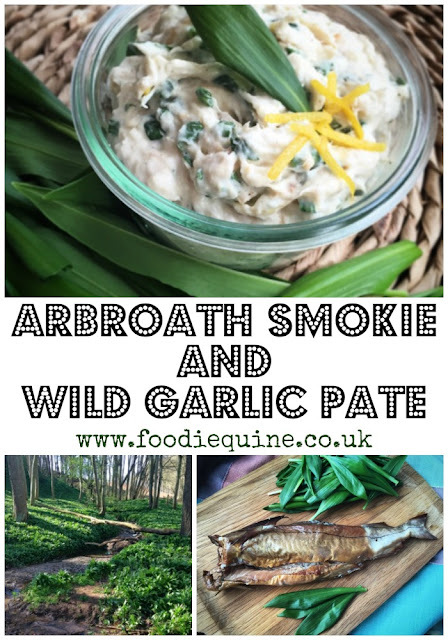 Today I've combined it with the wonderful flavours of an Arbroath Smokie and the two strong tastes work fantastically well together. 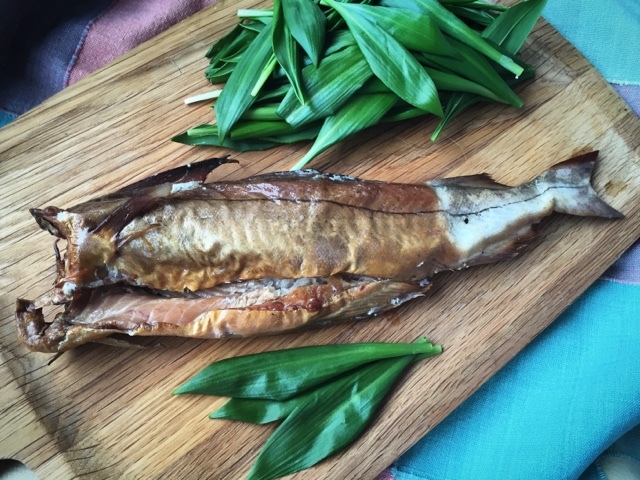 For the uninitiated an Arbroath Smokie is a hot-smoked haddock. It has been officially recognised at the highest levels in Europe with PGI protection (Protected Geographical Indication), the same status afforded to products such as Champagne and Parma Ham. As such the name of 'Arbroath Smokie' can only be used to describe haddock, smoked in the traditional manner, within an eight kilometer radius of Arbroath. Peel the skin from the smokie, split it in half and remove the main bone. Flake the flesh into a bowl keeping your eyes peeled for any stray bones. Stir through the cream cheese, lemon juice/zest and season with freshly ground black pepper. Wash and finely shred the wild garlic leaves and add according to taste. Serving Suggestion - we ate ours spread on homemade Melba Toast. It would also work well as a dip with crudities. Use milk or cream to thin it down if you want a runnier dipping consistency. Located in the heart of a UNESCO World Heritage site, a footstep away from the Cutty Sark, is London's favourite covered market. In 300 years Greenwich Market has gone full circle: from food market to contemporary street food mecca. 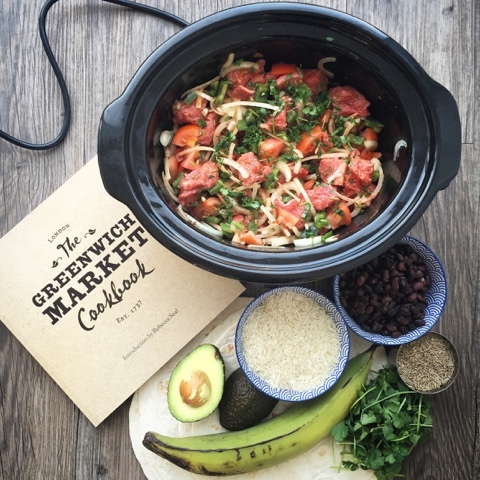 Today I'm sharing a recipe for Burrito Pabellon from the soon to be released Greenwich Market Cookbook which brings together and eclectic collection of recipes from more than 30 traders who cook food from all across the globe. Street Food continues to be 'on trend' and The Greenwich Market Cookbook combines authentic recipes along with wonderful illustrations and inspiring photographs. 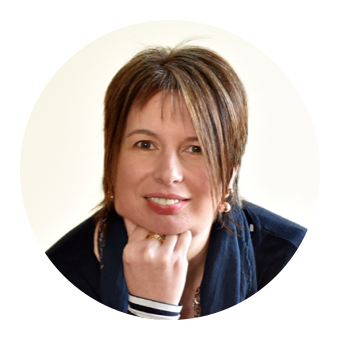 It's introduced by Greenwich local, Rebecca Seal who is a Guardian columnist, TV presenter and author of three cookbooks in her own right. We learn about the history of the market and how it became a foodie destination before we meet the contributors and hear of their unique stories and edible specialties. Ramen Burgers (Pimp My Ramen) - these sound both delicious and eccentric. Instead of burger buns they use fried patties of noodles which are golden and crispy on the outside and soft and noodly in the middle. Macaroni Cheese (Pig Dogs & Brisket) not just any old mac and cheese but topped with an amazing sweet, spicy topping ingeniously made of crumbled bacon and breadcrumbs. 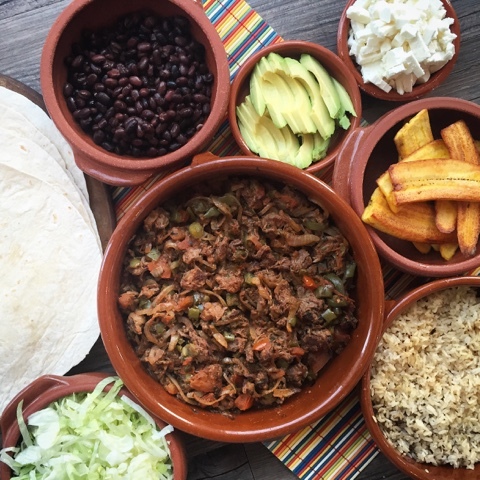 The Burrito Pabellon recipe from Latin American stall Munchies sounded like exactly my kind of street food. I jumped at the chance to recreate it when it appeared on the virtual street food market recipe list for PR use. The only slightly off piste ingredient that I needed to track down was Plantain which a trip to a fab international food supermarket secured. Never one to make a recipe exactly as written I cooked my Pabellon in the slow cooker which worked really well. 6 hours later it was time to prep my Burritos. Although I'd eaten plantain before I'd never cooked it myself. First battle was to peel it. Doing it banana style doesn't work! 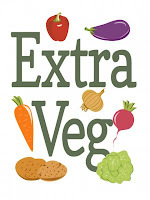 I asked my blogging friend Bintu at Recipes from a Pantry for advice as they are one of her favourite foods. "Make a slice in the skin from top to bottom i.e. all along one side of it and just touching the plantain. Then simply just peel back the skin along its length." I'll know for next time! Do also check out her guide as to how to cook Black Eyed Beans. I totally forgot to add the oregano to my black beans and used feta for the salty white cheese, not sure how authentic that was. Our hot sauce of choice was Sriracha. 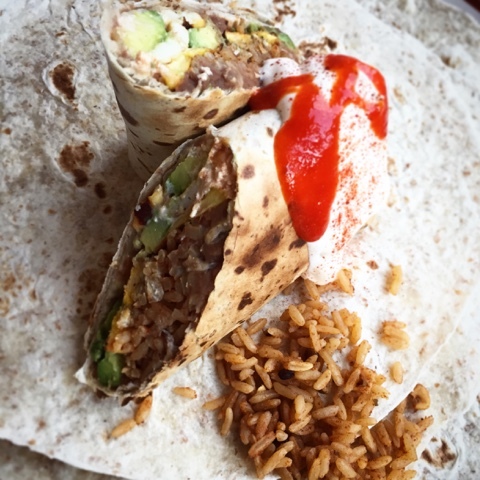 When it came to rolling our burritos the top tip is definitely 'less is more'. Being generous with the filling only ends in disaster. Big thumbs up all round in terms of the overall taste and a wonderful combination of textures and flavours. Street food at its best. 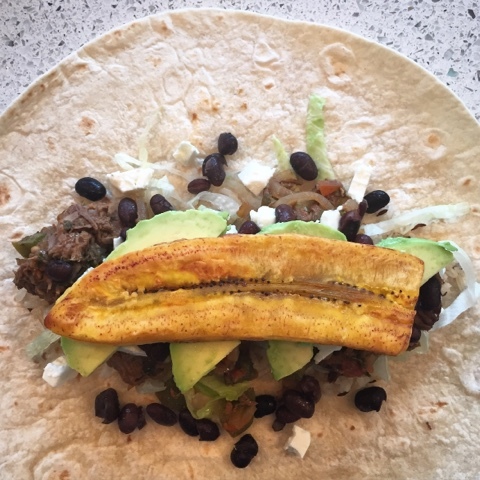 Pabellon is a dish eaten in a few different Latin American countries (including Venezuela, where Munchies’ very own Emmanuel hails from) consisting of slow cooked shredded beef, rice, black beans, avocado and plantain. This is one of the star dishes at their Greenwich stall: they serve the pabellon inside a burrito so that folk can walk around the market while enjoying it. It is perfect street food! Make sure you take advantage of their truly incredibly selection of hot sauces while you’re there – some do actually make your eyes water, but they have some gentler ones on offer too. You’ll need to start on the beef well in advance. Put the beef, onions, green peppers, tomatoes, tomato puree, cumin, capers, vinegar and olive oil in a large saucepan. Add the chopped coriander and a pinch of salt, then pour in 200ml of water. Bring to the boil, then immediately turn down the heat and simmer for 6 hours, stirring occasionally to make sure nothing sticks to the bottom of the pan. Once cooked, the meat will be rich in taste and should fall apart easily. Drain any liquid from the pan, then shred the beef with two forks. 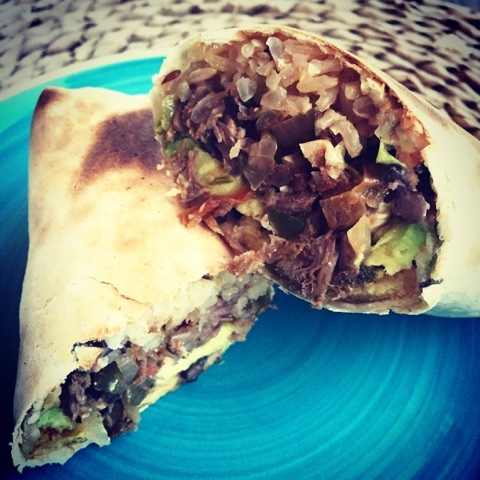 When the beef is nearly done, get on with the other burrito fillings. Cook the rice in salted water. While it is cooking, gently toast the cumin seeds in a teaspoon of olive oil in a small frying pan, then stir them into the cooked and drained rice. Gently warm the black beans along with some Mexican oregano and a pinch of salt. 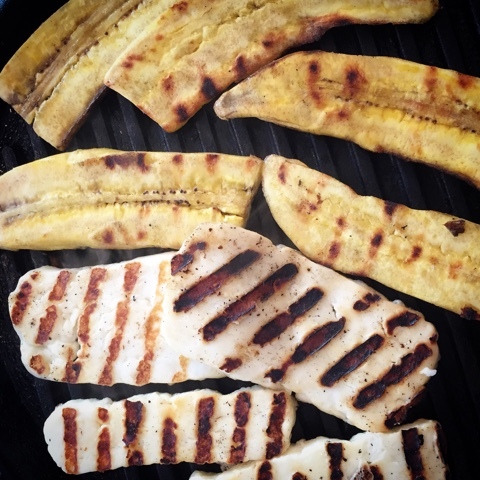 Peel the plantain, and cut into four lengthwise. Fry the strips in a teaspoon of olive oil until they are golden brown. Set your grill to its highest setting. Lay out the tortillas and put all of the fillings in a line along the centre, being careful not to overfill as this will make them difficult to roll. As a rule of thumb, cover no more than a third of the surface of the tortilla. Hungry Payaso usually put the following in each one: 3 tablespoons of rice, a small handful of lettuce, 4 tablespoons of shredded beef, a small handful of crumbled cheese, a tablespoon of black beans, three slices of avocado, one strip of plantain, and a few drops of hot sauce (Valentina Muy Picante is their favourite). Now roll your burrito. 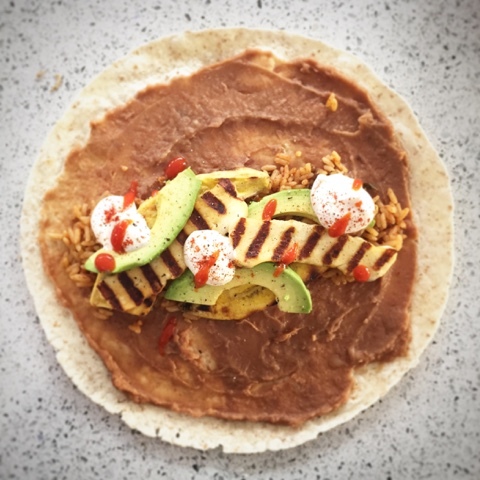 Assuming the line of ingredients goes from left to right, fold over the left and right edges of the tortilla towards the centre. Pick up the edge closest to you, and tuck it over the filling, then roll up as tightly as possible so you have a neat little package with no filling leaking out. 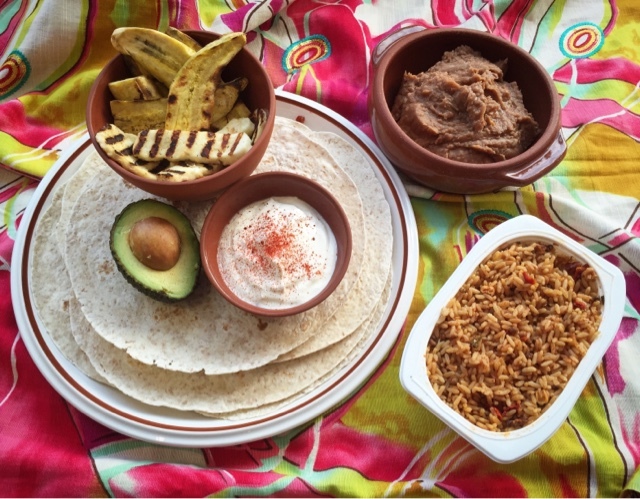 Put the burritos on a baking tray under the grill for 6–7 minutes, then serve. If you want to eat them on the go, wrap them in foil to prevent them from falling apart as you eat them. Disclosure: This is a commissioned post for Kitchen Press. As always, all views expressed are my own. Easter. The time of Chocolate, Bunnies, Chocolate, Hot Cross Buns, Chocolate, Chicks, Chocolate, Eggs, Chocolate and Lambs. More about the chocolate to come on the blog very soon but for today I'm concentrating on the Lamb. The Roast Lamb that many of us eat on Easter Sunday goes back earlier than Easter to the first Passover of the Jewish people. A sacrificial lamb was roasted and eaten with unleavened bread and bitter herbs. The lamb’s blood was painted on doorposts in the hope that God would “Pass Over” the marked homes and bring no harm. Accustomed to eating lamb for Passover when Jews converted to Christianity they continued the custom at Easter. Christians refer to Jesus as the “Lamb of God” and the traditions merged. Even without taking religion into consideration Lamb is a symbol of rebirth and the new spring and historically would have been one of the first fresh meats available after a long winter. 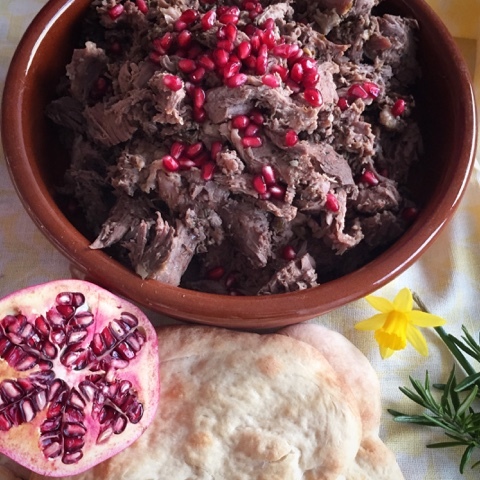 The recipe I'm sharing today uses a whole leg of lamb which is slow cooked for 7 hours with a fragrant spiced marinade. 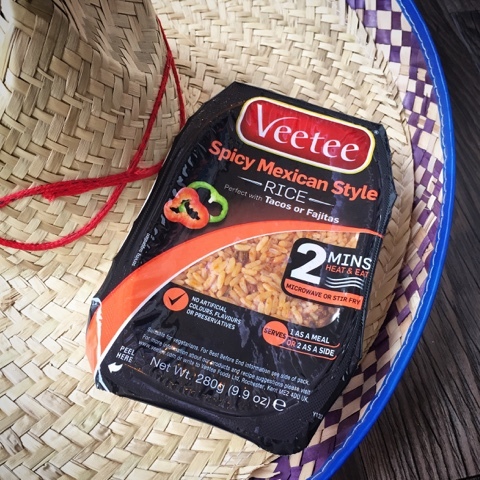 I've served it in an informal style with pita bread, salads and dips but it would work equally well as a more traditional Easter Sunday lunch with roast potatoes, vegetables and all the trimmings. The low and slow method of cooking for 7 hours at only 100c might give concern that the meat hasn't reached sufficient temperature to be fully cooked. 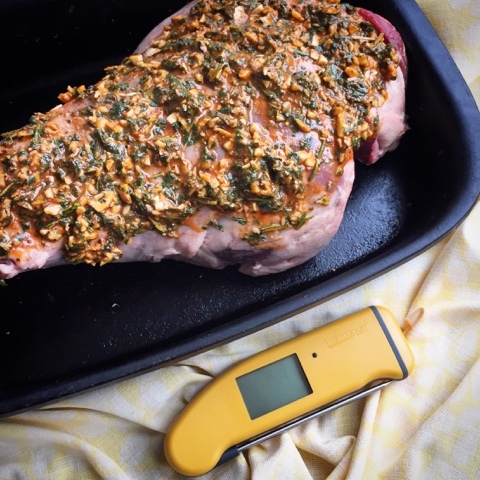 Lamb requires to reach an internal temperate of 71c and to check on this I used my trusty Superfast Thermapen 4 kitchen thermometer. You can read my full review of this kitchen essential on this previous blog post along with my recipe for Spiced Apple and Rosehip Jelly. Suffice to say my Thermapen is one of my most well used pieces of kitchen kit taking only 3 seconds to give an accurate reading. It provides me with peace of mind that my steak is rare, my fudge will set, my jam won't run off my toast, my chocolate is tempered and my BBQ'd burgers won't give anyone an upset tummy. I seriously wonder how I ever managed to cook without one. Following the recipe I'm offering you the chance to win your own Thermapen in conjunction with Electronic Temperature Instruments. 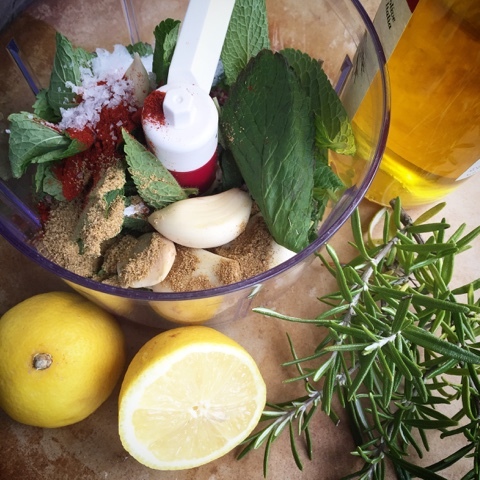 Combine all the marinade ingredients in a food processor and blend to a thick paste. Rub the marinade all over the leg of lamb. At this point you can leave the lamb in the fridge for a few hours or even overnight to allow the flavours to permeate. Alternatively if time is short it can go straight into the oven. Place the lamb in a roasting tin, add the stock, nestle the quartered onions around the joint and and cover with a double layer of foil. 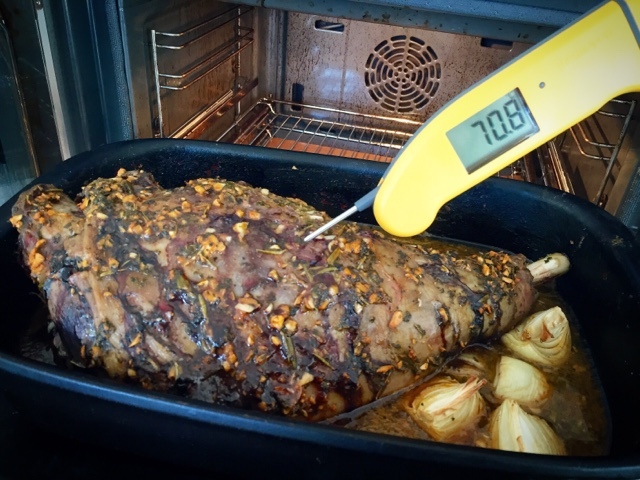 After 6 hours 30 minutes use a Thermapen to check that the internal temperature has reached 71c. Remove the foil and turn the oven temperature up to 180c for the last 30 minutes to allow the lamb to brown. Take the leg of lamb out of the oven and spoon the juices and onions into a small saucepan to make your gravy. Blitz until smooth with a hand blender and boil vigorously to reduce the volume. Thicken with the cornflower slaked with water and season. Shred the lamb using two forks. If the lamb is tricky to pull you may find it easier to carve thick slices and pull them rather than battle with the whole joint. 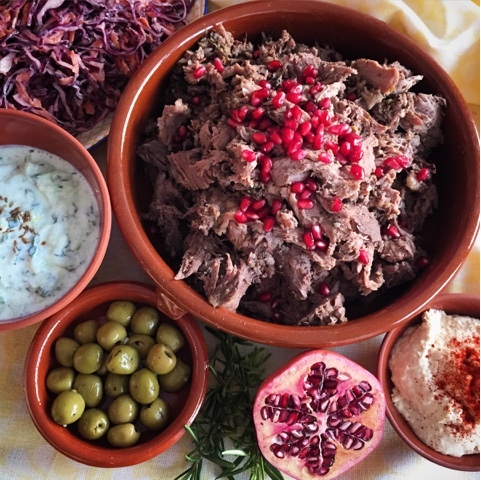 Serving Suggestion - I served my 7 Hour Spiced Pulled Leg of Lamb with Pitta Bread, Coleslaw, Olives, Hummus and Raita. Electronic Temperature Instruments have provided a Yellow Thermapen 4 Superfast Kitchen Thermometer as a giveaway for readers of Foodie Quine. Prize value is £60. Entry is via the Rafflecopter widget below. To enter, let me know in a comment "What will you be cooking for Easter Sunday Lunch?" For additional bonus entries you can follow me on Twitter, Tweet about the Giveaway, follow me on Instagram or like me on Facebook. Giveaway ends 29th March 2016 12:00am. Good Luck! Disclosure : This is a commissioned recipe for Electronic Temperature Instruments . All views expressed are my own. Everyone loves a pie. They surely have to be the ultimate in comfort food whether they're topped with pastry, mash or even sans topping. A pie, whether humble or posh, just wraps you up and gives you a great big hug. There's a relatively recent phenomena where by practically every food seems to have its own celebration day. Some of those I'm happy to buy into more than others. 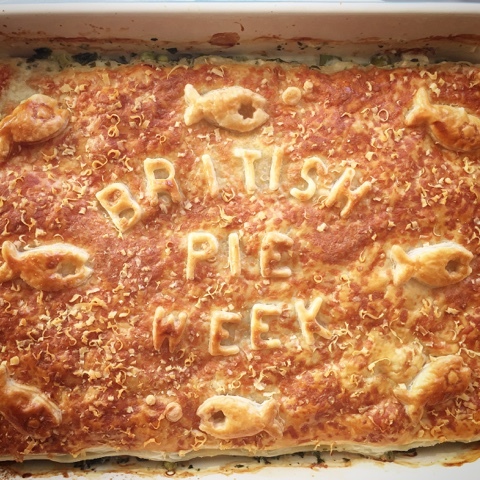 Pies deservingly get their own week and #BritishPieWeek running from 7-13th March 2016 is most definitely something that I can get behind wholeheartedly. 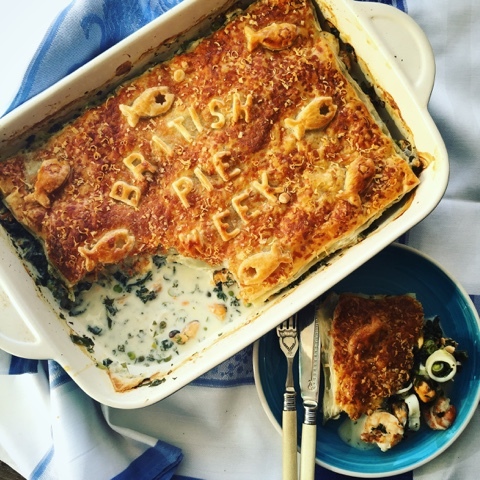 As such I'm delighted to be teaming up with Iceland (the frozen food folk - not the country) to lift the lid on pies and have created a Seafood and Kale Pie with Parmesan Puff. Pastry is something that I always have in my freezer and I'm teaming it up with a couple of interesting #PowerOfFrozen discoveries to create a pie worthy of celebrating. 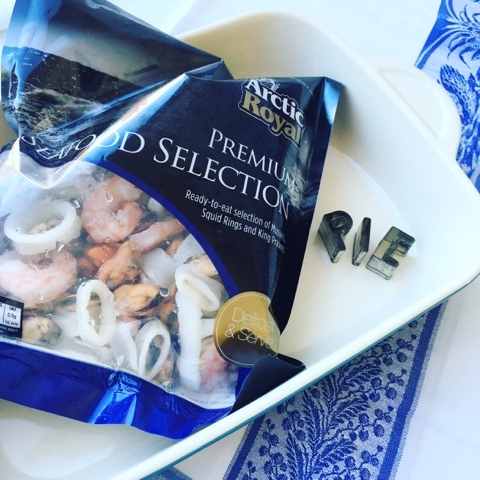 Defrost the Seafood Selection in its bag overnight in a refrigerator, or for 1-2 hours at room temperature. Defrost the Puff Pastry thoroughly in a refrigerator. Drain the seafood selection and place in a large bowl. 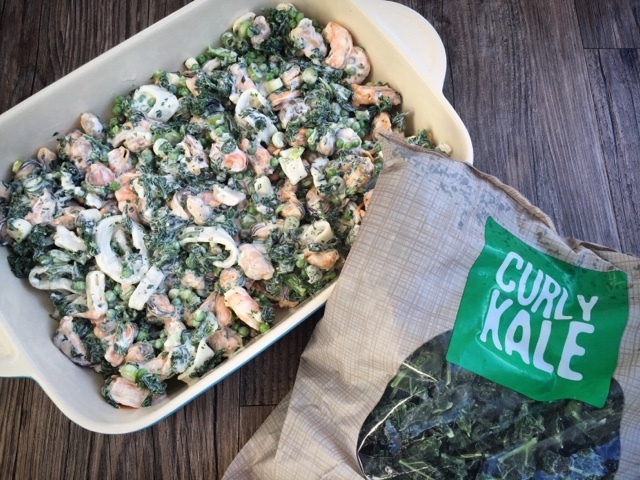 To this add the peas and kale (no need to cook/defrost), cream cheese, capers, mustard, spring onions and parsley. 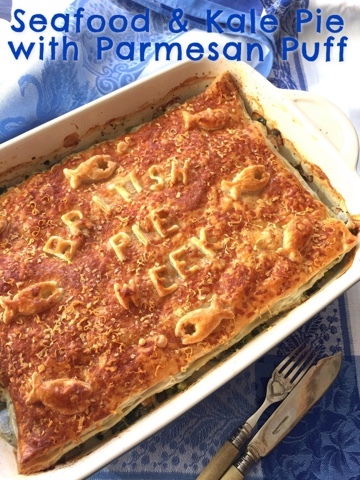 Transfer the seafood mixture to a large ovenproof pie dish. On a floured surface roll out the pastry to the required size to cover the pie. Thickness should be approx that of two £1 coins. Keep aside any scraps of pastry for decorating. Lift the pastry on top of the filling, using the rolling pin to help you. Brush with the beaten egg and sprinkle with grated Parmesan. Use the leftover pastry to decorate your pie, remembering to also brush any decorations with egg wash.
Cook for 30 minutes or until the pastry is golden brown and the filling is bubbling. For further ins-PIE-ration (groan!) 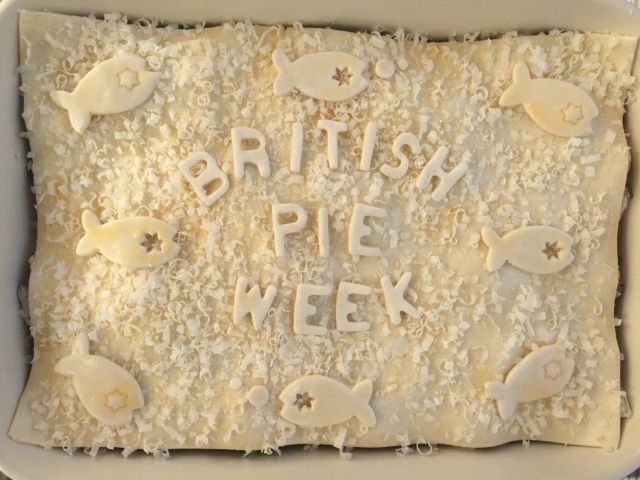 take a look at the recipes below and join in the #BritishPieWeek celebrations. Disclosure : This is a commissioned recipe for Iceland. All views expressed are my own. Easter and Chocolate go hand in hand. This Easter whether you like your eggs big, small, tiny or tall, the folks at Hotel Chocolat have something to suit one and all. If you can't make up your mind what to buy from their huge selection help is at hand with Easter's must-have gift bag. 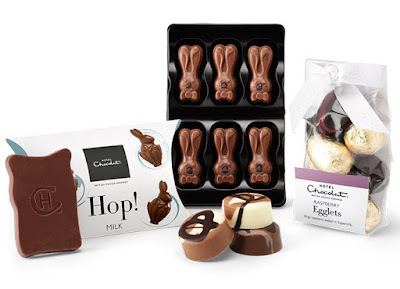 It's filled with indulgent and easy-to-share goodies, including a Salted Caramel Slab, Raspberry Egglets, a trio of Scrambled Pralines, a Caramel City Bunnies selector and a trio of milk chocolate bunnies. It's the perfect present for someone special, especially if that special person is yourself ;-) Easter Sunday comes early this year on March 27th, so order your favourites now to avoid dissapoint,ent. The Easter Goody Bag retails at £18 and the final date for guaranteed standard delivery before Easter is 22nd March so get cracking to make sure your chocolate arrives on time. 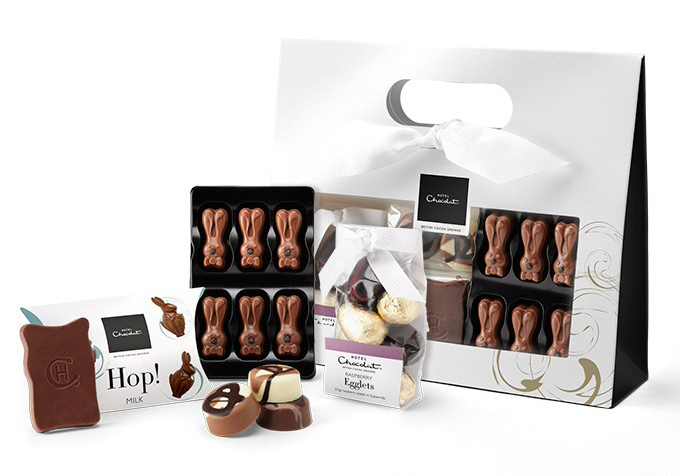 Hotel Chocolat have provided an Easter Goody Bag as a giveaway for readers of Foodie Quine. Prize value is £19. Entry is via the Rafflecopter widget below. To enter, let me know in a comment "What's your favourite Easter treat?" For additional bonus entries you can follow me on Twitter, Tweet about the Giveaway, follow me on Instagram or like me on Facebook. Giveaway ends 19th March 2016 12:00am. Hop to it and Good Luck! Spring is definitely in the air. Or at least it seemed that way yesterday. The morning started out bright and sunny however by afternoon the snow was dinging down. That's Scotland for you! Despite the changeable weather there are some delicious spring flavours in the recipe I'm sharing today. 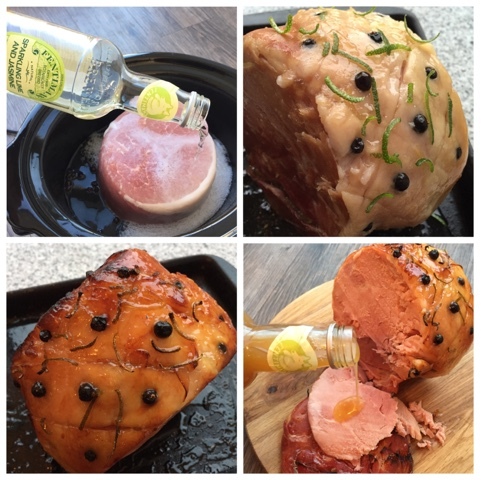 My Slow Cooked Ham with Juniper, Lime and Jasmine would work really well as the centerpiece for an Easter Sunday Lunch. However being made the slow cooker it's equally suited to a midweek meal and the leftovers make the most awesome sandwiches. 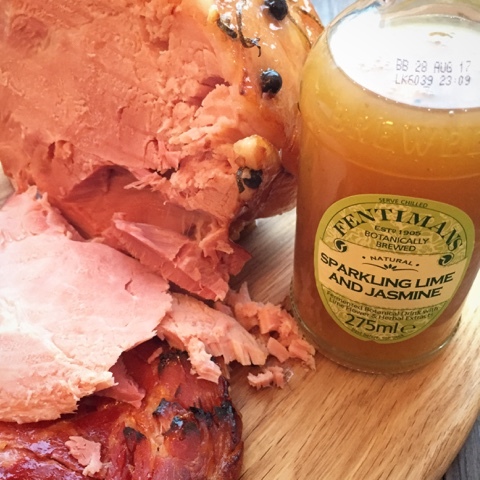 Fentimans, the botanically brewed drinks folk, have just launched a new flavour to add to their range of natural drinks. Their ‘Sparkling Lime and Jasmine’ has been available from 1st March and joins their existing line up with the likes of Ginger Beer, Rose Lemonade, Curiosity Cola, Victorian Lemonade, and Dandelion & Burdock. If like me you're a Gin lover you'll no doubt be all too familiar with their premium Tonic Water mixers. However in this day and age many of us are looking for viable alternatives to alcohol for a myriad of reasons. This sophisticated and refreshing botanical brew definitely fits the bill without the sickly sweetness of many of its peers. A light but finely balanced liquid with a distinctive botanical aroma. The initial refreshing bitterness on the tongue is quickly balanced by the botanical sweetness of lime flower, hyssop and myrtle to leave a clean, dry citrus note. The aroma is created by a complex mix of botanical infusions including white jasmine flowers. Despite my talk of temperance I know you're all still all patiently waiting for the answer to the big question. How does Fentimans Sparkling Lime & Jasmine taste as a mixer with Gin? The answer is awesome. Cheers! 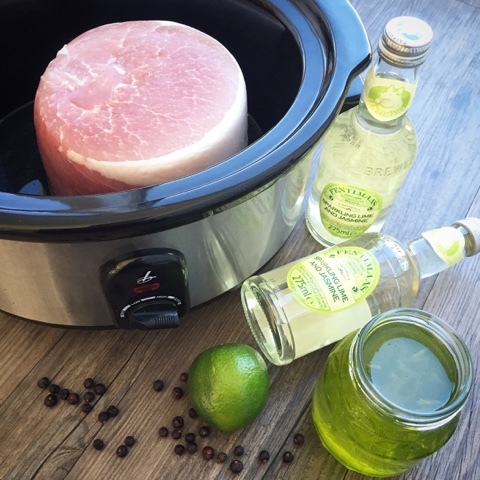 Place the gammon joint in the bottom of the slow cooker crock pot along with the onion and juniper berries. Pour over two bottles of Fentimans Sparkling Lime & Jasmine. When the ham is cooked (raw it's gammon - cooked it's ham) take it out of the slow cooker and let it cool a little for ease of handling. Remove any skin and leave a layer of fat. Score the fat with a sharp knife to make fairly large diamond shapes. 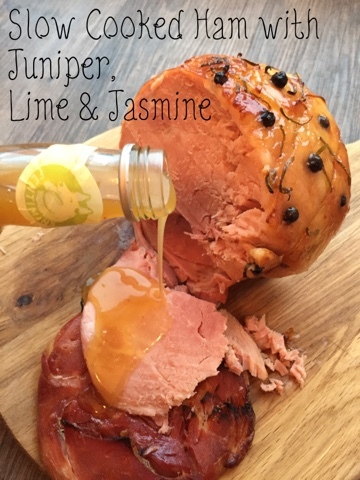 Spread the marmalade over the joint of ham, stud each diamond with a juniper berry and sprinkle on the lime zest. Cook in a lined roasting tin for approximately 20 minutes or until the glaze is burnished and bubbly. Check and baste every 5 minutes. Meanwhile sieve the cooking juices from the slow cooker into a small saucepan and discard the onion and juniper berries. Boil vigorously to reduce the volume by half. Add the marmalade, thicken with the cornflower slaked with water and season with black pepper. 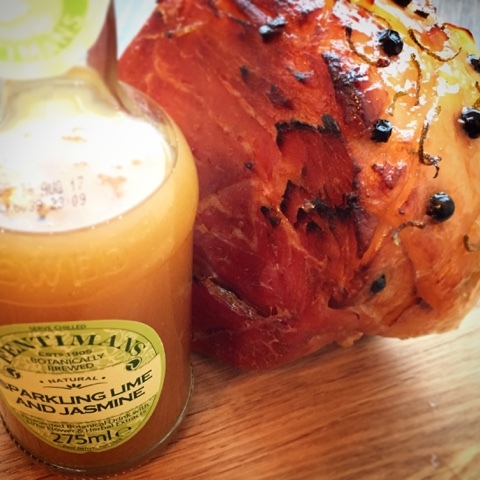 To serve decant the gravy into an empty Fentimans Sparkling Lime and Jasmine bottle. Disclosure : This is a commissioned recipe for Fentimans. All views expressed are my own.